One of my favourite coffeehouses in Strasbourg is Oh My Goodness! The friendly baristas who know how to make a good cup of coffee, the groups of friends enjoying conversation, and the steady stream of people walking past the large windows make for a convivial place to spend time. Newcomers are often surprised to see a jar filled with little slips of paper on each table. Curious, they pick out a piece of paper and read what it says. Each slip of paper contains a question designed to get conversations going, particularly between people who are just getting to know one another. The people at OMG realize that a coffeehouse is as much about talking as it is drinking coffee. Like I said, they know what they are doing! Sometimes our conversation with God needs to have a "slip of paper" to get us started. Perhaps our normal "routine" just isn't working. That's when I sometimes turn to an idea that someone shared with me many years ago. Perhaps it will work to get your conversation with God flowing some morning this week. 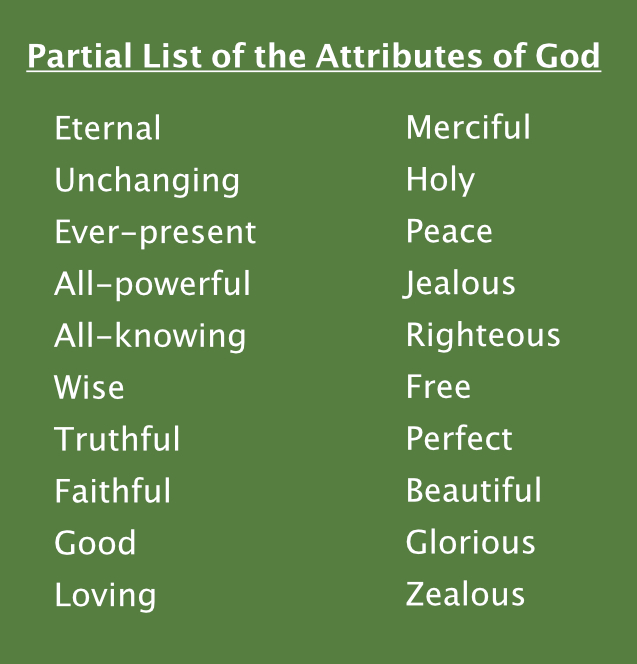 Simply take a piece of paper and write one of the attributes of God on the top. Then begin writing sentences that begin with, "Lord, because you are (fill in the attribute of God), I _______________. 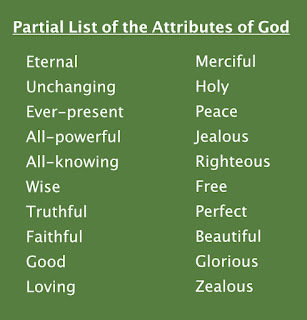 Try to come up with 5 to 10 sentences for that attribute of God. For example, "Lord, because you are ever-present, I know that you are with my family wherever they go." "Lord, because you are ever-present, I can be certain that you will be with me today at work." "Lord, because you are ever-present, you know the awful thing that happened yesterday." I find that this easy exercise gets my mind and heart focused on the Lord in a fresh way. Then when I pick up my Bible, the Holy Spirit seems to speak more freely. Suddenly, I am talking to God with a freshness and enthusiasm that wasn't there a few minutes before. Try it! You may find that your conversation takes on wings like it does when talking with friends at Oh My Goodness!